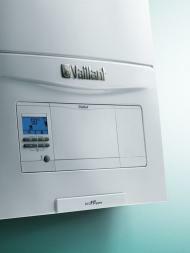 Apex Plumbing Supplies stock and supply boilers from leading brand name Vaillant. Please contact us before arriving to ensure we have the size you are after in store. If a sufficient order is placed we also offer a free delivery to certain areas. Please contact us for details. The ecoTEC pro range of combi boilers combine the built in quality, relaibility and performance you'd expect from Vaillant, with a simple design and approach. 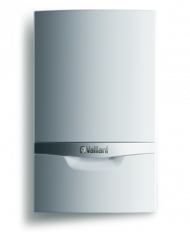 The range feautures 24, 28 and 30kW models, making this boiler perfect for homes with smaller hot water and heating requirements. 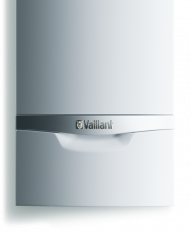 The ecoTEC plus high efficiency combination boiler range combines fantastic efficiency levels and high performance with great usability. 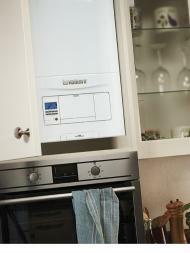 The range is available in 24, 31 and 37kW output models. Vaillant's Variable Termination Kit (VTK) is the latest high efficiency accessory designed to overcome the visual and siting issues often associated by plume. 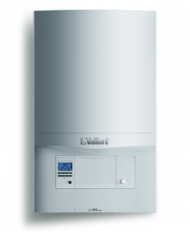 The VTK enables the flue outlet to be re-sited away from the boiler reducing the visual impact and nuisance pluming causes. A unique design, push fit connections and a choice of colour pipework all save the time and inconvenience of boiler relocation. The VTK has been developed to satisfy the needs of installers, specifiers and service engineers. And what's more, the VTK comes with additional components offering solutions to all installations.